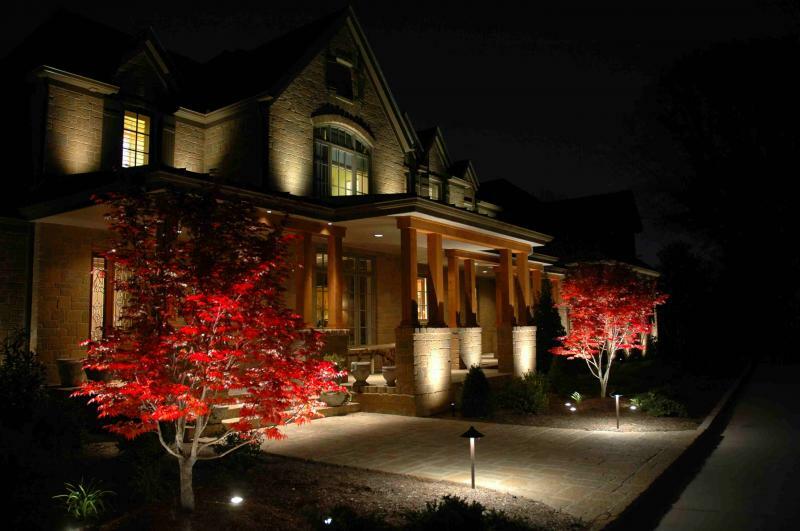 While there are many beneficial aspects to having outdoor house lighting installed on your property; there is always a cost involved and I’m not talking about the cost of the hardware or the installation costs. I’m talking about the ongoing running of the lights themselves. Or more exactly the electricity they use to illuminate your property. While there are much low voltage and low wattage lighting options available that will cut your electricity usage somewhat; there really is only one way in which you can do your part in protecting the world’s dwindling resources, particularly those that modern civilization uses to generate electricity. That is to stop using it to illuminate the outside of your property. There is a better option available to you if you live in a climate that gets a reasonable amount of sunshine during the day and that is to install solar yard lights on your property. Here’s why and how. The number one benefit of installing solar yard lights to the outside of your property is that they use the renewable energy from the sun to power the lights. There is no drain on the power generated in dirty electricity generating stations. And let’s just touch on that point for a minute. Just about all the electricity that is generated in this country is dirty. By dirty, I mean it pollutes the environment and uses up non-renewable energy sources. Electricity is generated using oil fired, coal fired and nuclear stations primarily. They all pollute the environment in one way or another. We’re starting to change with some wind-powered stations and other renewable sources such as hydroelectricity; however, the proportion of these producers is still less than 1% of all the power generated in this country. What’s even worse is that a good 50% of all that electricity produced is lost to resistance along the power lines that take it to the towns and cities it powers. That’s half of all the electricity we produce never gets used to power one single light bulb! Think on that. So when we use solar powered lighting, we are cutting out all that pollution, wastage and cost. And that can only be a good thing, the more folks that make use of this fantastic resource. 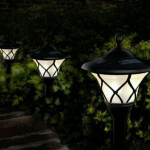 If you are looking for the light for the pool swimming, read the outdoor motion sensor light reviews before buying one. 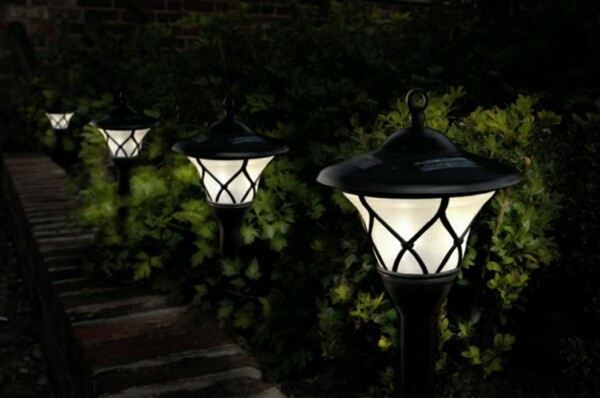 Well, there are loads of designs and styles of solar garden lights when it comes to choosing your own residential outdoor lighting plan. Most of these are standalone, meaning you don’t have to hook them up to anything, just place them where you want them and you’re done. Standalone solar yard lights are generally fitted with a light sensor; which switches the unit on as darkness falls and then switches them off again at dawn when they then begin to recharge as the sun rises and its rays hit the small photovoltaic (solar) panel integrated on the top of the light unit. This charges up a rechargeable battery inside the unit and as long as there is sufficient sunshine during the day; then the battery will hold enough charge to illuminate the LED(s) inside the unit to provide light during the hours of darkness. They come in various shapes and styles. Some are fitted with short spikes that you just press into the ground and they act as pathway marker lights. Others come on long poles that also fit in the ground on long spikes and are perfect as outdoor patio lights. They can be bought singly or in boxes of multiples and the cost is far lower today than it was just five years ago. Check out the best led grow lights on the market HERE! 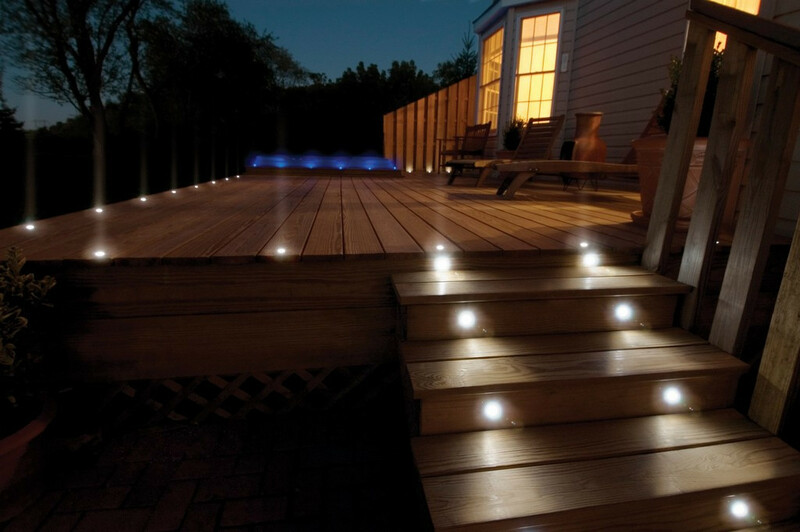 The other type of outdoor solar lights is those that are actually regular low voltage lights (12v) that hook up to a larger central battery which is recharged via a larger photovoltaic panel. This provides much more power than the smaller standalone solar yard lights. And this can be used to power outdoor pole lights and most forms of low power outdoor lights. With this kind of set up, you are only limited by the size of the battery and the photovoltaic panel(s); so you could even power solar floodlights for short bursts. The advantage of this kind of system may not be immediately obvious until you have a power cut! You know the kind of chaos that a power cut causes when it happens at night. Worse is that all the outdoor house lighting in the street goes off and any burglars in the area are given the green light to go shopping! Not so with a solar powered residential outdoor lighting system. 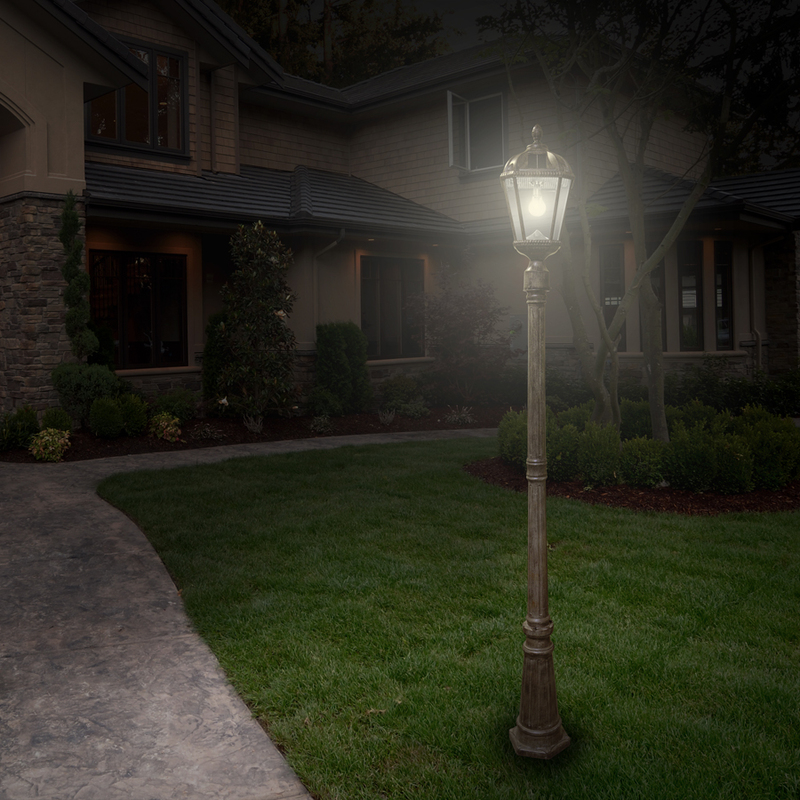 As long as you maintain it properly, you will have uninterrupted outdoor lighting even during a power cut. This is because you’re not relying on the power company to supply the electricity to those lights! Think on that. If you’re concerned about kitchen ceiling lighting fixtures led, read HERE!